Moderate moisture requirement, full sun to partial shade. White petal-like bracts bloom May to July followed by bright red berries. 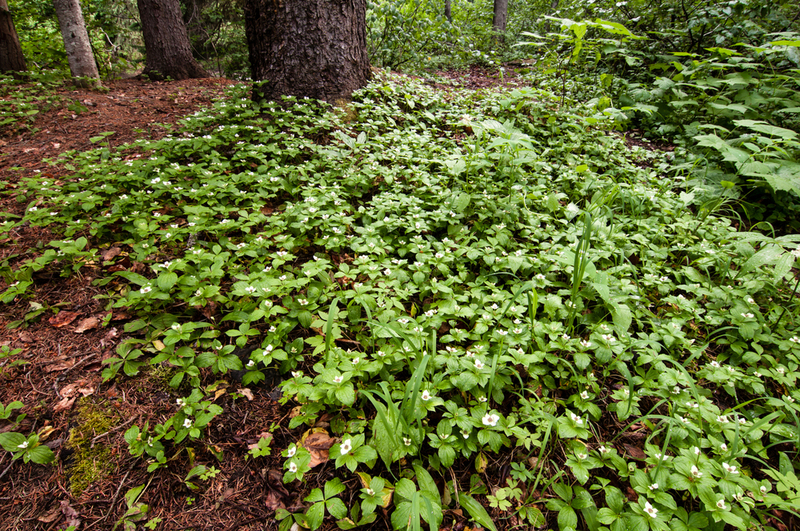 Found in cool woods and moist clearings where this plant's spreading nature enables it to form dense ground cover.